Owner/Chef Scott Brandon stands ready to unveil his new restaurant, LinX, located next to Wahoos on Chapman. His venture into Old Towne marks a new chapter for the successful restaurateur, who launched Orange Countys first gastropub in Corona Del Mar several years ago. 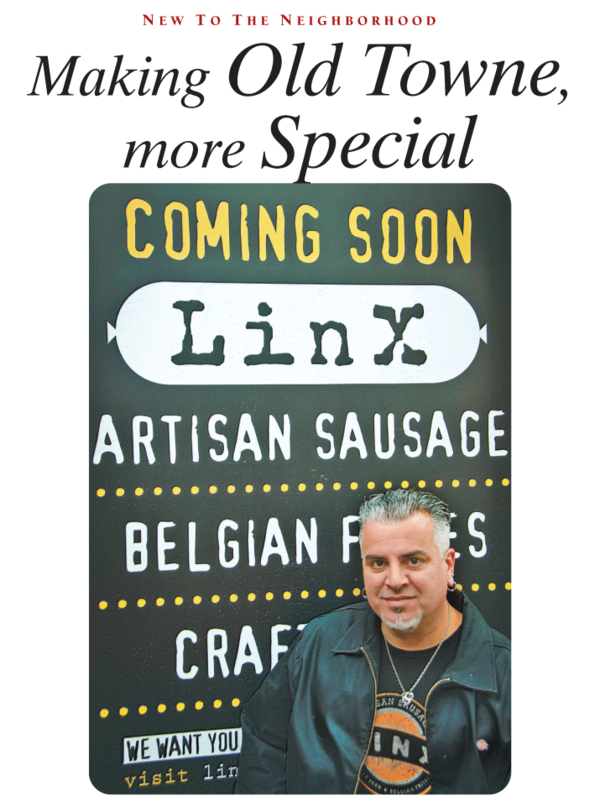 Homemade artisan sausage and Belgium fries take center stage at the soon-to-be-unveiled LinX, located next to Wahoos Fish Taco at 238 West Chapman Avenue. Co-owner and Chef Scott Brandon combines his extensive background in fine dining with a passion for authentic charcuterie. Totaling 1,000 square feet inside and 1,500 square feet outside, the Euro-style café shares the same outdoor patio space with Wahoos, providing a beer garden type dining experience where patrons can sip craft beer while enjoying gourmet hot dogs, sausages and organic frites, as well as homemade breads, sauces and condiments. No stranger to the restaurant biz, Scott launched the first gastropub in Orange County: The Crowbar and Kitchen in Corona Del Mar, which in 2008 was named best new restaurant by OC Weekly. His venture into Old Towne began when he catered a private party for a client, Rick Kagasoff, who was so impressed with his food that he asked if he could be a part of Scotts next restaurant endeavor. Showcasing used brick, reclaimed lumber and distressed metal accents, the interior dining room offers a hip and casual setting. Working with area farmers and purveyors, Scott believes in supporting the local economy. After previewing his menu from a food truck at the International Street Faire to much acclaim, Scott is eager to open his doors this January.